A well known figure in the local cycling scene in Singapore, Kent McCallum of Cycosports joins us for this week’s SITTING IN. Unfound: Kent, thanks for joining us. You are a Kiwi, living in Singapore. Having run a successful bike shop you have moved on to the events side of things over the last few years. Tell us a bit about yourself and how this all came about? Kent: I’ve always been a keen cyclist since I started racing road and track at the age of 13 in my hometown back in New Zealand. After escaping out of the “corporate” world I wanted to follow the passion again as well as give a little back to the community. In 2013, when Cycosports was started, the racing scene in Singapore was virtually non-existent and the community very fragmented. Unfound: So how did the events/racing part start. Which was your first event and how has it progressed? Have you got any new events in the pipeline? Kent: Myself and a gentleman named Gavin Kramer were doing a training ride over in Batam. We had an awesome day out and both asked each other “why has no one created a race out of this?” After some exploring and introductions, we decided to launch Cycosports and give the community a race to remember. The “Batam Six Bridges” otherwise known as the “Tour de Barelang” was born. Four months later, we had 250 people coming to Batam for a day trip and racing 125 km on beautiful Indonesian islands. Unfound: We have the inaugural Tour de Kepri coming up at the end of September. What’s the format? Tell us a bit about the racing on offer and, if there is still time to register, who should get signed up? Kent: Yes registration is still open (but the amazing early bird pricing is closing soon). The Tour de Kepri is basically a 3D/2N race which kicks off on Friday afternoon with simultaneous criteriums on adjourning 1.8 and 2.4 km courses. The criterium suits the “all-rounder” as both have a hill and wide sweeping turns. Saturday is a beautiful 135 km stage across Bintan which includes some fast flat sections by the coast before hitting some of the well know northern hills of Bintan. After the race, riders get to relax on the short ferry across to Batam. Sunday is the classic Barelang stage, already well known to the local cycling community. It’s a tough race of 125 km across the six bridges of Batam finishing on apex of the iconic Barelang Bridge. Unfound: Being so close to Singapore, which is such a major transport hub, it’s feasible for people to get to the Tour de Kepri from all over Asia and further afield. What do you think will make Kepri a race worth travelling to and how will it compare to other stage races in the region, most notably the Tour of Bintan, Masters Tour of Chiang Mai, Tour of Friendship, etc? Kent: Yes we want to make the Tour de Kepri an iconic fixture on the Asian amateur calendar. With the criterium starting mid-afternoon, cyclists can potentially take an early Friday morning flight to Singapore and get the 1pm Ferry. To launch the tour we have some amazing early bird pricing (supported by the Kepri Tourism Board) with a ‘race, hotel and meal’ all-in entry fee of SG$295. All you need to add is your airfare to Singapore! Unfound: With such a fluid race calendar it must be hard to organise and establish new events. How do you approach getting new events into the calendar? Kent: Yes it is always interesting. Kepri has been a few years in the making with a couple of Bintan test events in 2015 and 2017. We needed to prove to the authorities and ourselves that such an event is possible and delivers great racing. We are always open to exploring new venues and if the right local partners can be found, then we are a “go”. Unfound: I suppose this question leads on from the last. 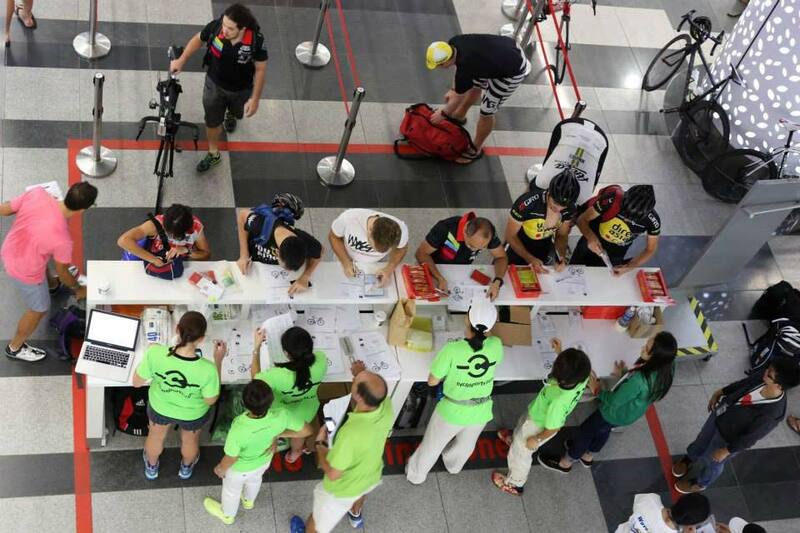 It’s not an enviable task trying to organise events across Asia and your efforts in the Asian cycling community we know are hugely appreciated. Tell us a couple of the most ridiculous things you’ve had to deal with in organising your events? Kent: The biggest challenge is always marshalling. We try very hard to plan the routes and educate the marshal teams, but still things can go wrong. Thankfully riders have understood and collectively we work it out. It’s something we will always try to improve on. In Asia there are always surprises when running events, whether it be impromptu speeches from an official just as we are counting down to the start or searching for gran fondo riders who decided to stop for lunch and a few too many beers. Unfound: And finally, we know you love to cycle too; what is the funniest thing you have seen or experienced on the bike? 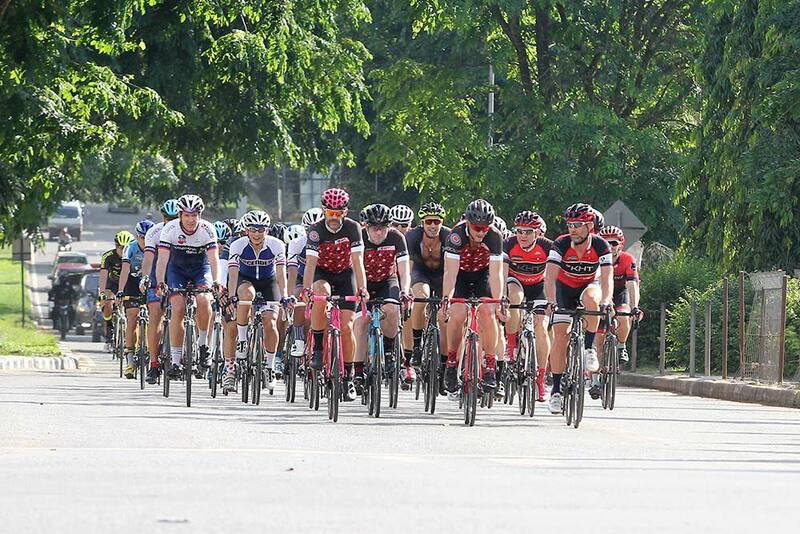 Kent: It was a ride with Bruce Swales checking out Stage 2 of Tour of Phuket. After narrowly missing an arched Cobra on a descent, we were admiring the views when a bird landed on the power lines in front of us and promptly “exploded” with a massive jolt of electricity dropping in front of us. Thankfully the rest of the ride was bliss! Unfound: Kent, thanks so much for joining us, great to have you on the hub and awesome to hear about your growing list of events. As cyclists we appreciate the efforts events organisers and volunteers go to. Make sure you join the Cycosports group page on the hub to see rides, photos and news from the team – you can also contact them on there to get yourself booked up on one of their races.